Ever dreamt of being able to enjoy as many weekends away as possible or spending your summer holidays in the comfort of your own luxurious caravan holiday home. Palm Beach is a family holiday park located 75 meters from the wonderful beach at Heacham on the stunning North Norfolk coast, only 2 miles from Hunstanton and just a short walk to the village centre and all amenities that it provides. The park is able to offer arguably some of the best plots in the area, with a wide selection of holiday homes to choose from at what are also the most competitive prices. There is a heated outdoor swimming pool for you to cool off in when the temperatures soar. For those who want to be even closer to the sea our sister park Seashore is situated just along the road with direct access to the beach. Both parks are open between March and the End of October which means you can enjoy a holiday whenever you want without having the worry of trying to make a booking at your favourite hotel and then being disappointed. When considering your purchase we have experienced staff who can explain the various differences between models to help you make the right choice. During the season were are open 7 days a week, so you are able to visit us whenever is convenient for you, should you wish to make a dedicated appointment please contact us to do so. 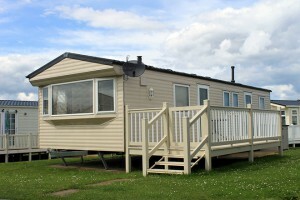 There is always a wide selection of new and used holiday homes available to view. We can take Touring Caravans, Motorhomes and Cars in part exchange against the purchase of a Holiday Home.